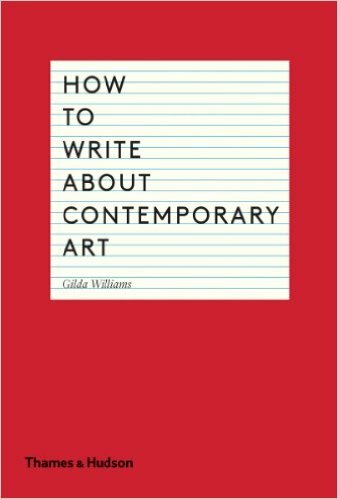 Artists and art writers take note: No matter how good you are at writing, you could probably do with reading Gilda Williams’ How to write about contemporary art. Williams book details the dos and don’ts of art writing. She identifies common pitfalls and highlights good writing (by usefully pointing out what it is that makes it good). Williams’ own writing style is accessible, she divides the text into neat sections covering key points, and breaks up the text with bullet points, quotable sentences in red, and samples of other peoples writing. While recognising that good writing often breaks the rules, Williams lays out a concise framework to hone your art writing style. This is the kind of book I would like to keep close, to remind myself not to be complacent about writing.